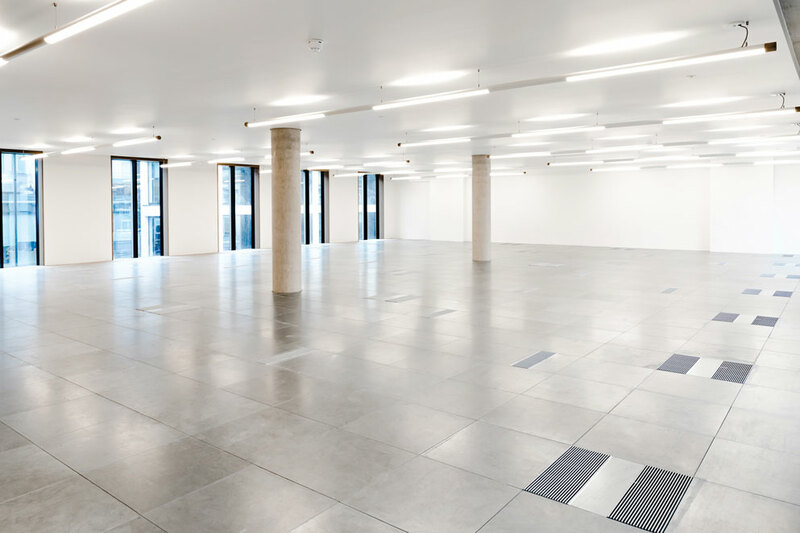 Leading provider of underfloor air conditioning systems, AET Flexible Space has completed the supply and commissioning of underfloor air conditioning equipment at 42 Berners Street, Fitzrovia. The 27,300 sq. ft. building, part of the Berners-Allsopp Estate is a high quality new build development created through the demolition of two town houses, offering 22,000 sq. ft. office accommodation on five of the seven floors and retail at basement and ground level. 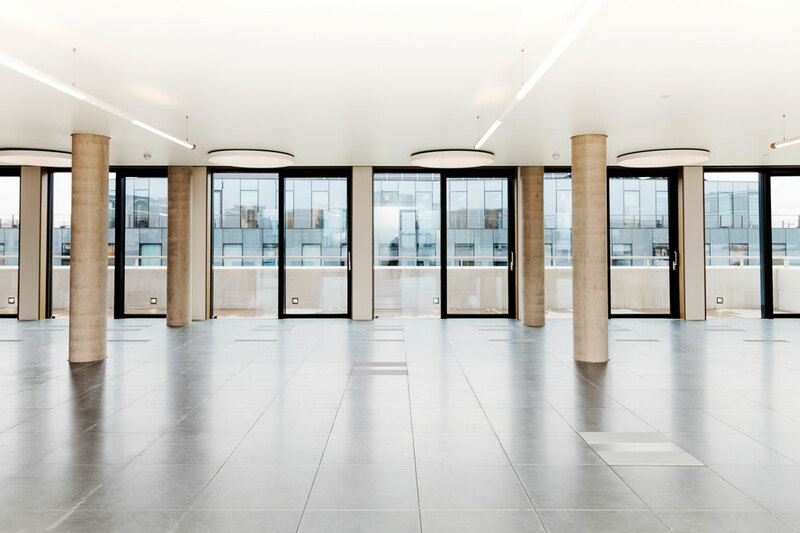 The redevelopment was designed by architect Buckley Gray Yeoman, with mechanical services specified by consultant, GDM partnership. 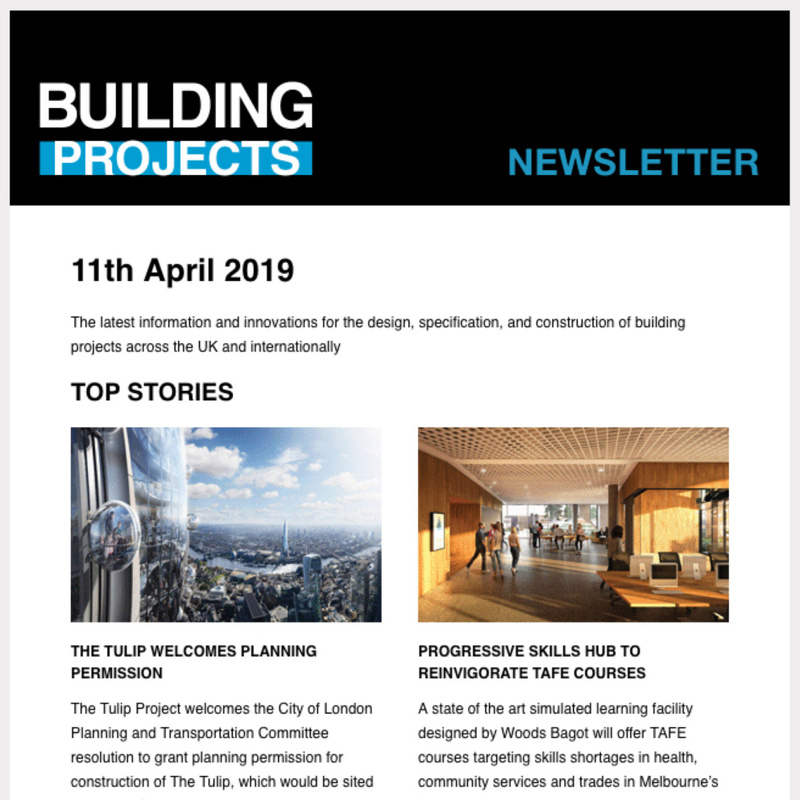 The design brief included a number of key challenges such as maximising the footprint of the building, the internal lettable area and floor to ceiling heights. 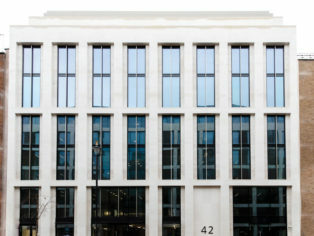 Westminster council also imposed local building height restrictions on the development and the design was stipulated to fit sensitively within the historic Berners Street surrounds. Underfloor air conditioning was put forward as a mechanical services option that could help meet the aspirations of the planners, and by adopting a low level services strategy, designers were able to maximise the available space, adding a seventh floor to the building originally designed with six, and maximise the internal floor to ceiling heights on each floor. With low level services, the void beneath the raised access floor is used as a plenum, effectively becoming the ventilation zone. Each floor is divided into separate zones and supplied with fully conditioned (chilled or warmed) air, which is fed into the plenum by the zonal downflow units (CAM), and then supplied into the workspace via fan terminal units (Fantile). By doubling up the use of the underfloor plenum, ceiling voids can be reduced or eliminated, equating to approximate savings of 400-500mm per floor. 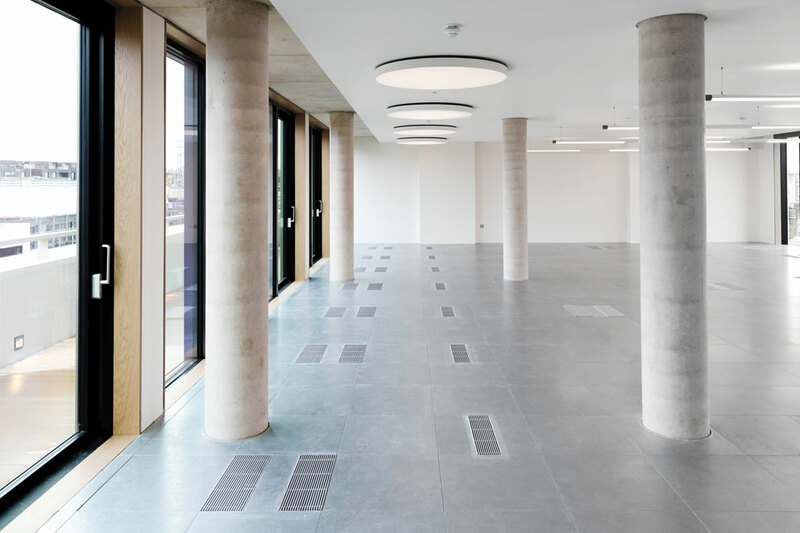 Systems can be configured with either underfloor or high level return air paths and can easily integrate with passive or other ventilation systems. 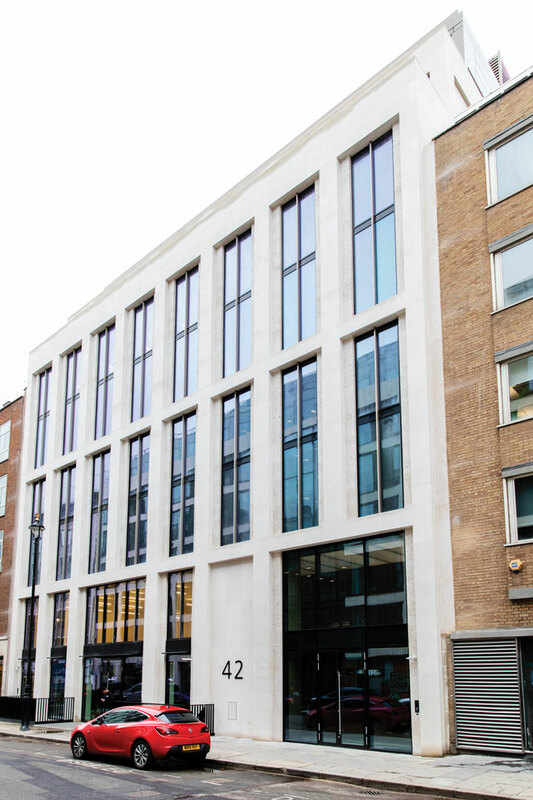 The system specified at 42 Berners Street is a CAM-C direct expansion system, installed throughout the seven office floors with each floor divided into two separate zones, each served by a CAM-C25 downflow unit. 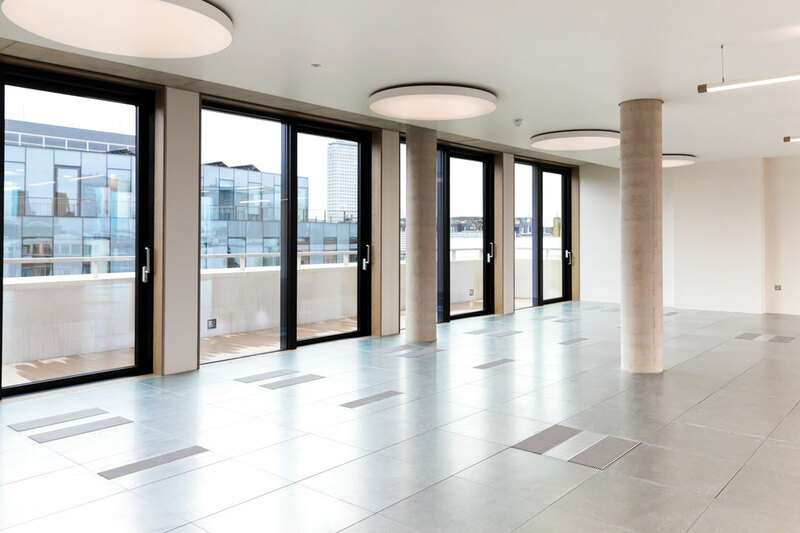 The Fantiles supplied are standard TU4-EC fan terminals which can be easily re-positioned to suit individual tenant needs at Cat-B fit-out stage. 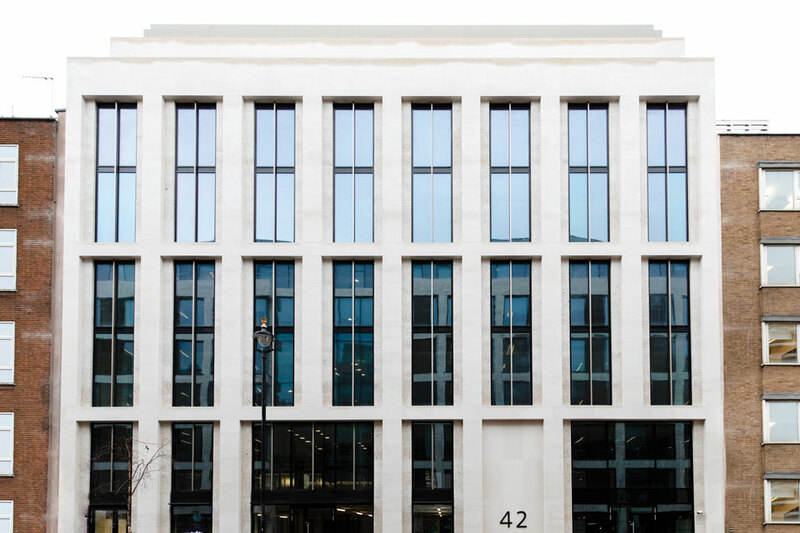 The mixed –use building with its new Portland stone façade and bronze windows has made a significant contribution to the street-scape, and developers are currently in lease negotiations with a single client prior to practical completion.